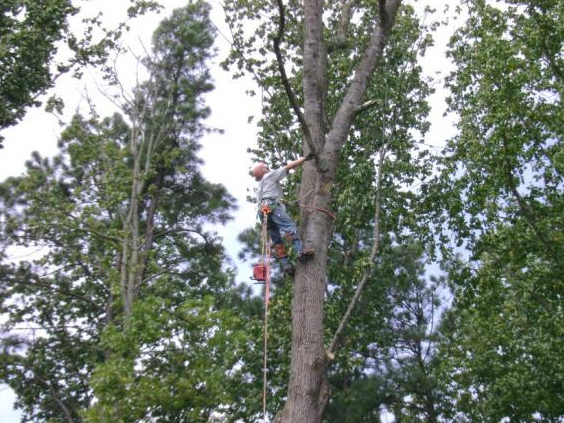 Choose Chipper LLC Tree Service For All Your Tree Pruning Needs Throughout Dawsonville! Our services have expanded to making our own mulch products and selling landscape supplies like mulch, soil, and gravel. We rent equipment like skid steers, tree chippers, excavators, aerial lifts, wood splitters, concrete demolition tools, and yard tools. We sell Dump Star, Dump Trailers, Stryker Utility Trailers, Landscape Trailers, Tandem Trailers, Car Hauler Trailers, Equipment Trailers, Gooseneck Trailers, Deckover Trailers, and more. We sell Husqvarna Power Tools, Timberwolf, Built-RIte commercial Firewood Processors, and Wood Splitters. We strive to be as environmentally conscious as possible with our demolition methods, and make every attempt to save metal roofing and framing, copper, and aluminum for recycling rather than dumped in our landfills. In a similar effort your tree debris will be converted into logs, fresh firewood, or natural mulch for your landscaping. Having trees close to your house presents a real "catch 22" situation. On one hand, the shade that trees provide lowers cooling costs in the summer and provides a buffer from winter wind. On the other hand, the reduction in sunlight can contribute to mold and rotten wood, causing maintenance costs to increase (this is covered in more detail in the maintenance section below). Trees too close to houses can also allow unwanted pests like squirrels and mice to enter the attic. 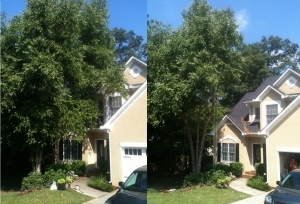 Sometimes when a tree is too close to a house, we can simply trim or prune the tree limbs away from the house, but if many limbs need to be removed, it can cause the tree to no longer be aesthetically pleasing. In that case, it may be better to remove the tree and plant another more compact growing tree or simply choose a more suitable location. 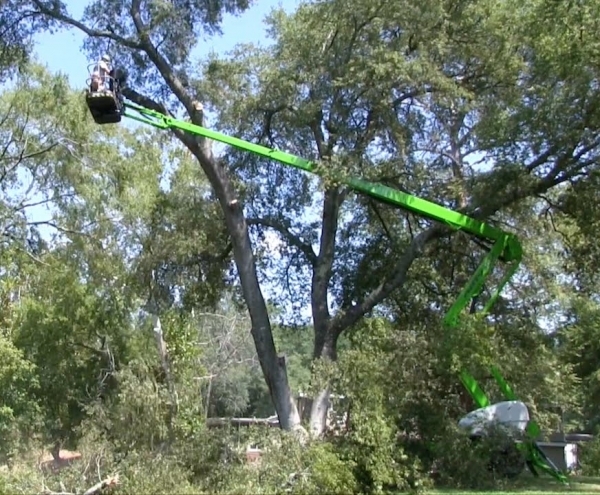 This type of tree trimming is where only the lower limbs on a tree are removed. This is the most popular type of pruning. The after effect is increased curb appeal. Look, honey, we have a front door, landscaping and a bay window! In crown thinning, the first step is to perform crown cleaning and then go on to remove more branches with a focus on increasing aesthetics, improving light penetration, improving air flow, improving visibility, or a combination of the above. It is not recommended to remove more than 25% of the tree's foliage-producing limbs in one year. 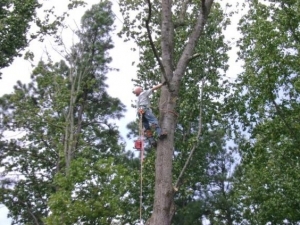 If you think your home in Dawsonville could benefit from tree pruning experts, contact Chipper LLC Tree Service today for affordable pricing and quality service! We are available for emergency tree removal and service, and can help transform your yard into something beautiful once more. Contact us for a FREE estimate ASAP!